Color Me Rad – Tamara Shazam! 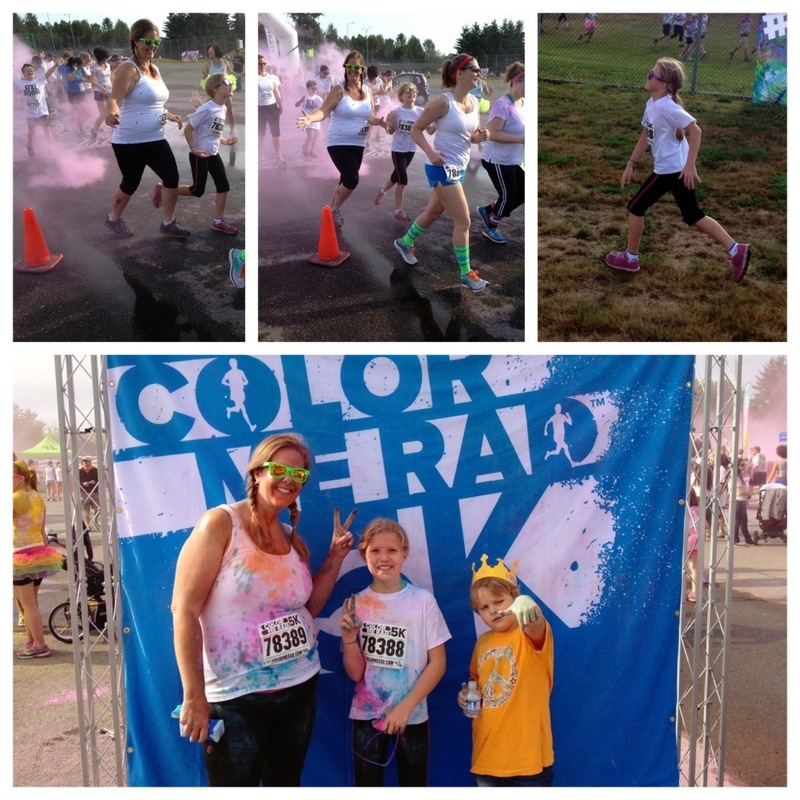 Today I woke up at 6:30, crawled out of bed, rubbed the bleariness from my eyes and woke my kids up to head to the Color Me Rad 5K (the race where you are pelted with color while you run, ending up with a colored shirt and body by the time you cross the finish line). This is the race that motivated me to get my rear end moving so I wouldn’t be humiliated by needing to walk the whole thing… My motivation to train! My extra reason to get out and run 3+ miles a few times a week! Turns out, I needn’t have worried. This was definitely a fun run with lots and lots of people who started out walking or were walking by the end of the first half mile AND it was untimed! Relax, right?! But it was all worth it. 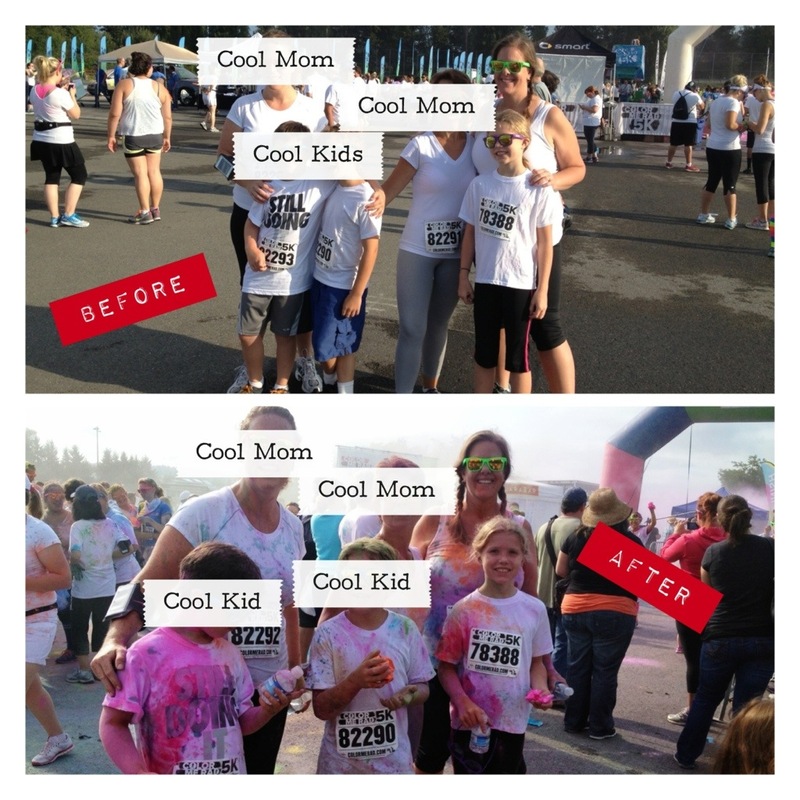 It turned out great because cool mom #1 and I seemed to be at about the same pace. Cool mom #2 kept up with the boys while CM#1 and I kept chugging along from the rear. Gigi took off like a rocket and kept going. After the first quarter mile or so I didn’t even see her anymore! I was really proud of our team. Every one of us ran the entire time, never stopping once to walk or anything. Our mile times ranged from 10:56-11:37, which was nice, consistent pacing for me. Our total time was about 36 minutes. While not competitive, necessarily,it was very satisfying. This totally goes down in the books as a success. 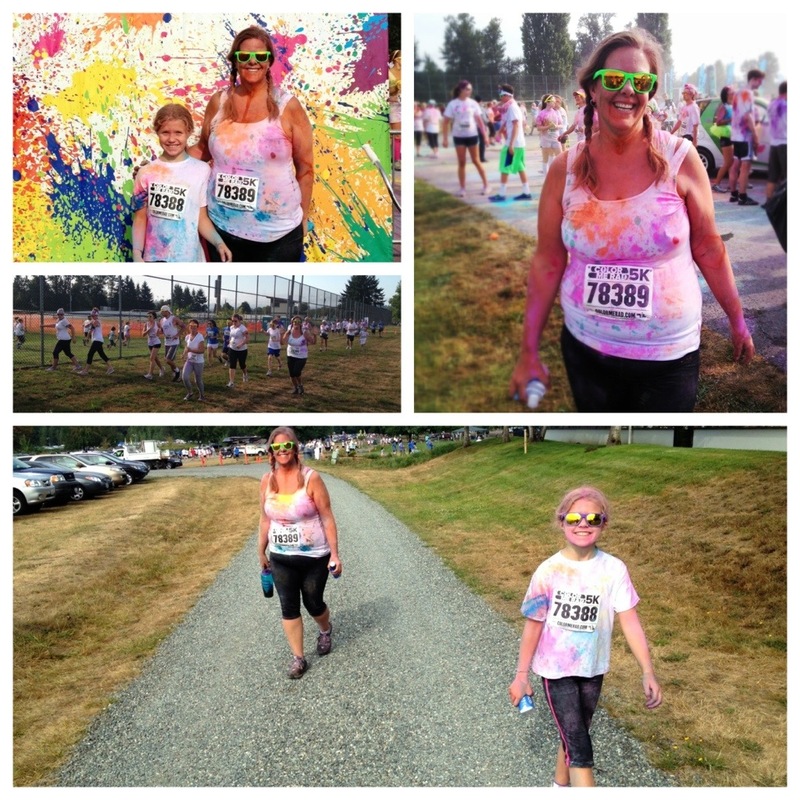 I had a fabulous time getting really dirty! At the end of it all, our wave stood in a circle, burst colors and danced about. Terribly fun. I can’t wait to do it again next year! And get this- Jude wants to run next time! We will start the training soon!